Looking for a unique gift for someones kitchen or even a wall for that matter. Some have loved the Engraved Cutting Boards so much that they never actually use them as a cutting board. BRI.. 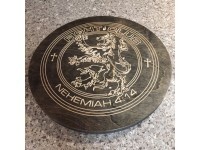 Custom designed for the pride that goes along with being a member of the Nehemiah 4:14 Fight Club. "... fight for your brothers, your sons and your daughters, your wives and your homes".. Some of the most important influencers of your life often receive the least amount of thanks and gratitude. 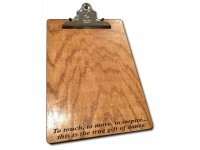 A Personalized Clipboard is the perfect gift to show that Teacher, Mentor, or Coach e.. Some of the most important influences of your life often receive the least amount of thanks and gratitude. 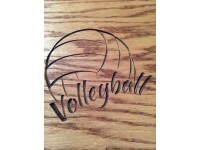 A Volleyball Clipboard is the perfect gift to show that Coach exactly how much their p..
Want some of these items tweaked a bit? Please let us know using the Contact Us form. We are proud to be a member of the growing group of businesses owned and operated by this nation's veterans. If you're happy with us, TELL OTHERS ... if you're not, TELL US. We believe in creating beautifully hand-crafted products at a price you can afford. All of our products contain the highest quality materials and are made here in the USA, delivered to your doorstep.